Over the past two years, almost every major clean water protection, including the Clean Water Act, has been under assault by the federal government. And the November elections represent a chance for voters to let their elected representatives know their views on these attacks. And with state legislators in Harrisburg trying to outdo Washington in deregulating the oil and gas industry, who gets elected to Harrisburg matters more than ever. In 2018, there has been a real groundswell of candidates who have strong records of making environmental protection a priority at both the state and federal levels. Voters can ensure that representatives who will champion clean water and a healthy planet get elected. Clean Water Action has endorsed Bob Casey for U.S. Senate and Tom Wolf for Governor in recognition of their strong records in support of environmental protection. Casey introduced the FRAC Act in the Senate to close the Halliburton Loophole, which has allowed oil and gas companies to hide from the public the toxic chemicals they are releasing. And since Trump’s election, Casey has been outspoken on the many anti-environmental actions by Trump and Scott Pruitt and Andrew Wheeler at EPA. By contrast Casey’s opponent, Lou Barletta, has an abysmal 0% environmental voting score as a member of the U.S. House. As Governor, Tom Wolf has voted for a permanent ban on fracking in the Delaware watershed, established a first ever reduction in methane emissions from gas wells and pipelines, and expanded state regulations on fracking, including a ban on open air frack pits which has been a major contamination source throughout the state. With the Trump Administration working to remove federal oil and gas protections, Wolf’s efforts at the state level are important. Wolf’s opponent, Scott Wagner, has a poor environmental voting record as a State Senator. His lifetime score, on scorecards from Clean Water Action and allies, is just 6%. With the current state legislature being the most anti-environmental in decades in Pennsylvania, re-electing Gov. Wolf is an important backstop for the deregulation strategies we have seen coming out of the Pennsylvania General Assembly the last several years. With new Congressional districts this year as a result of a State Supreme Court ruling, U.S. House races in Pennsylvania have been unusually competitive. Clean Water Action has endorsed two new U.S. House candidates in the Philadelphia suburbs. Madeleine Dean, running in District 4 in Montgomery County, has a strong pro-environment record during her time in the State House, earning a perfect 100% voting score. Mary Gay Scanlon, running in District 5 in Delaware County, is new to politics, however ran a strong campaign to win the Democratic nomination in the primary. Scanlon strongly supports working to transition the economy to 100% renewable energy and has pledged to not take any campaign funds from the fossil fuel industry. Clean Water Action has also endorsed Brendan Boyle, (District 2), Dwight Evans (District 3), and Matt Cartwright (District 8) for re-election. All three representatives scored 97%-100% on Clean Water Action’s Congressional Scorecard. Across the state, many strong environmental champions are running for State House and Senate seats that deserve support from environmental voters. In Allegheny County, Lindsey Williams (Senate District 38), Emily Skopov (House District 28), and Betsy Monroe (House District 30) are all new candidates running in the North Hills. With fracking starting to move into Allegheny County, this is the time to make sure there are state legislators from southwest Pennsylvania who are not beholden to the oil and gas industry. There are also a number of strong candidates in Chester County, where new oil and gas pipelines have sparked community outrage over the lack of safety for many impacted communities. Danielle Otten (House District 155), Carolyn Comitta (House District 156), and Melissa Shusterman (House District 157) all have been leaders on protecting clean water. In Bucks County, Steve Santarsiero (Senate District 10) has long been a key environmental leader in Harrisburg, recently working as Deputy Attorney General for Environmental Protection prosecuting environmental crimes. Perry Warren (House District 31) is seeking his first re-election after scoring a perfect 100% voting record over the last two years. Helen Tai (House District 178) is also seeking her first full term, and has been a strong proponent of preventing fracking from happening in the Delaware River watershed. Polls are open for voting on Tuesday, November 6th from 7:00 am - 8:00 pm. Paid for by Clean Wave, www.cleanwater.org/cleanwave and not authorized by any candidate or candidate committee. For more information, email cleanwave@cleanwater.org. Since gaining the majority in 2010, Republicans in Congress have done all they can to undermine protections for water and health, and put the profits of corporate special interests before the needs of the public. Leaders in the Senate were able to stop the worst excesses of the Republicans in the House of Representatives through 2014, and until January 2017 the Obama administration acted as a backstop, rejecting dangerous bills that would have turned back the clock on safeguards for health and the environment. Now, since the start of the 115th Congress in 2017, the assaults on the most basic of safeguards for water, air and health have become more frenzied than ever before. Republican leaders in Congress have facilitated Trump’s Dirty Water Agenda, eagerly dismantling modest policies like the Stream Protection Rule which had provided communities in coal country with a few tools to protect their drinking water from mountain-top removal coal mining waste. GOP members of the House and the Senate found ways to give even more handouts to the fossil fuel industry and helped Trump install former industry lobbyists and executives in the Environmental Protection Agency, and the Departments of Interior and Energy. And that was just in 2017. 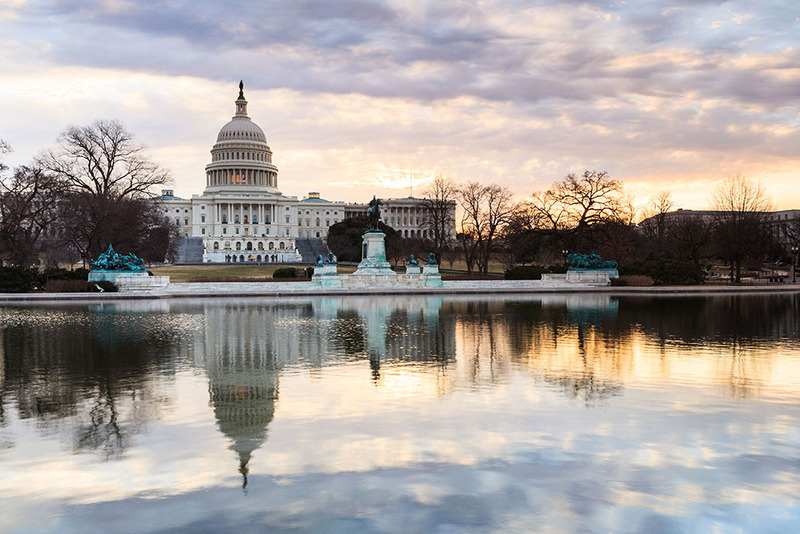 Clean Water Action’s new congressional scorecard shows how Republicans in Congress have prioritized corporate polluters and campaign donors over the public every chance they have had. They have voted to slash agency budgets, undermine the science used to develop safeguards, and more. Republican leaders have allowed the fossil fuel industry and others to put democracy in a stranglehold. With the most important elections of the 21st century just around the corner, Clean Water Action urges voters to use scores as a guide at the ballot box. For too long majorities in the House and Senate have cared more about the powerful special interests who call the shots in Washington than what is right for water, health, and the environment. It’s time to change that. 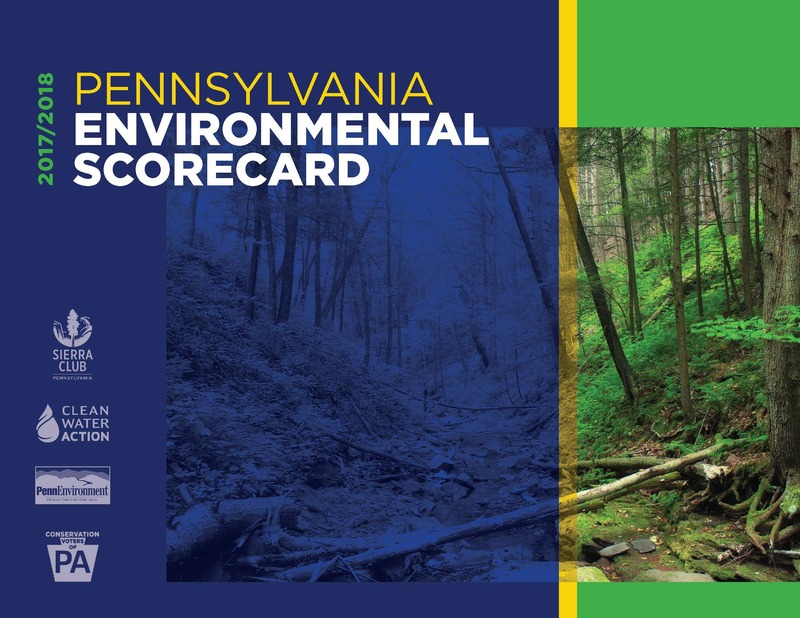 Clean Water Action also collaborated on a Pennsylvania Environmental Scorecard, compiling a list of the most important environmental votes taken this session in the Pennsylvania General Assembly. The scorecard shows that despite many legislators receiving high scores; far too many continue to cast their vote on behalf of polluters. The session may most be remembered though for the legislation that couldn’t be scored because it was never brought up for a vote. This included bills to put Pennsylvania on track to getting 100% of its energy from renewable sources and to protect children from lead poisoning. See where your state legislators stand. As many as 110 million Americans, including some Pennsylvania communities, may have drinking water contaminated with toxic nonstick chemicals, or PFAS. These chemicals are a health and environmental nightmare created by chemical companies 3M and DuPont (now Chemours), who reportedly had sufficient information decades ago to know that certain PFAS were harmful. Americans were treated like guinea pigs as chemical companies sold more and more PFAS. Taxpayers are now being asked to foot the bill for what could amount to billions of dollars in clean up and health costs. As if that weren’t enough, more PFAS are manufactured every day for products like nonstick and waterproof coatings and for some firefighting foam. So the contamination cycle continues. It’s time to hold the chemical makers accountable. Please join us in demanding that 3M and Chemours discontinue production of PFAS chemicals and pay to clean up their nonstick nightmare. Help us ensure that all Americans have access to safe drinking water and food.